medical attention, but later succumbed after her heart failure. program. We applaud the good work she has done in bringing up her grandchildren in the ways of God. Her dedication to serve God and humanity was exemplary. offering a shoulder to cry on. Let’s be the pillar of support to her family that is mourning her loss. Though she is gone, her memories lives in our hearts. Our heartfelt condolences to the family and friends. May our words of solace be your pillar of strength. TILL WE MEET AGAIN HANNAH! SHINE ON YOUR WAY HOME TO GLORY! The International Day of The African Child was celebrated in an event that was characterized with pomp and colour. Some of our children at House of Hope together with our staff took part in this big celebration that was held end of last week in the beautiful town of Naivasha, Kenya. The June 16 annual event honours the memories of students who were massacred in Soweto, South Africa, in 1976 for protesting against education injustice and inequality in the apartheid regime. It was designated as Day of the African Child in 1991 by the African Union and every year events are organized to promote children’s rights. The Day of the African Child is a great day for all children in Africa and the world; it brings to life most commitments undertaken by African countries to fulfill the targets of the Sustainable Development Goals (SDGs) by 2030. 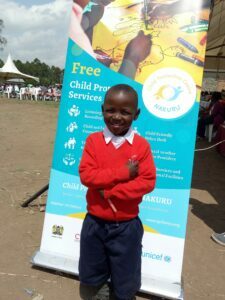 One of the aims of the Day of the African Child is to highlight the plight of the African children that is a threat to their bright future and also put measures in place to safeguard their future. This is done each year through coming up with a theme; this year, the theme was “Leave no child behind for Africa’s Development.” For this to be realized, education remains a key pillar for African children to thrive and actively get involved in development of this great continent. According to a recent survey: The children of African women with at least five years of schooling have a 40 percent higher chance of survival. This is why we have heavily invested in the educational needs of our children. That not withstanding, we have also equipped our children on spiritual and life skills. We believe education is key, but with dignity and having relevant skills; they have a bunch of keys that will help open many opportunity doors for them. We also wish to take this opportunity to reflect on the contribution of our donors, partners, board, staff and other institutions that have walked with us in this journey of empowering our children with education, so that they can thrive and be actively involved in the development agenda. There is a great need to enroll more children in school in Africa and keeping them in school to safeguard not only their future, but also the future of Africa and the world at large. We all have to uphold, advocate, and defend children’s rights. Education is one of the basic rights for children in Africa and remains to be the beacon of hope for many African children. 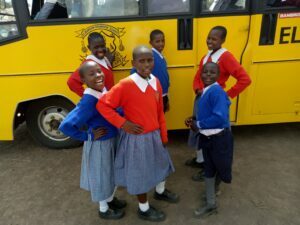 Join us today in the cause of defending the weak and fatherless by supporting a child’s education in Kenya and be part of the change you want to see in the world. To our dear friends, partners,donors and sponsors. 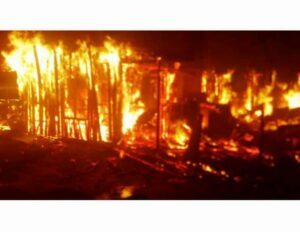 Around 9:00 pm last night Kenyan time, our boys home in Molo was lost to fire. Angels protected your children as all 16 of our boys and our staff escaped safely. We thank God that everyone was safe and the fire did not spread to other buildings on the property. We would also like to thank the Kenya Red Cross, our partner church, the AIC Church of Molo and the greater Molo community who have all stepped in to offer support. 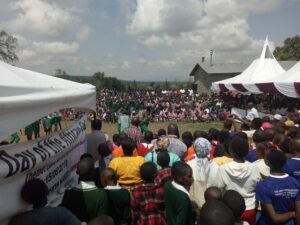 You, our partners in this ministry, have been so incredibly generous and supportive of the work God is doing in Kenya. Many have asked, how they can help. You can visit our website and make a small donation to replace the boys clothing, personal items and school supplies. Most important, please pray for healing from this traumatic experience for our children and staff. Child sponsorship is an excellent way to help a child in poverty have enough to eat, clothes, and an education. The hope is that one day they will be able to overcome a cycle of generational poverty. But at P82, we don’t want to wait for a future to begin. We know that empowering the adults in our communities means stronger families. Stronger families can overcome poverty in this generation. We aren’t a child sponsorship ministry. Some child sponsorship agencies only allow children in their program, and once those children become teens they are asked to leave, whether they are able to care for themselves- or not. The children in our program graduate higher education, such as college or trade school. They become independent, self sufficient adults, able to care for themselves and eventually their own families. But they stay part of our P82 Family and Community. The first young men to graduate higher education have returned as mentors and role models to the younger children. We are seeing generational change in the community. Independence is an important part of adulthood. We can’t serve the children in our community without caring for their families. Families in poverty have little opportunities and generational poverty kills any hope that children have. By introducing programs that teach sewing, baking, farming, and soap making to the Guardians, we are giving them the tools needed to be independent. Child sponsorship helps children have opportunities and a future, but family strengthening gives children opportunities here in the present. My daughter was adopted at age 2 from a large orphanage in Asia. She was one of 800. She lived with 16 other children, all with the same special need. They slept in 16 cribs crammed into 4 rows of 4. They had a small playroom where they spent their days. Lastly there was a bathroom with sinks to bathe the kids and changing tables for diaper changes. Two staff members cared for the sixteen infants. She had never been outside. Although the orphanage was large and held about twice the number of children that it was built for, it was an award winning place. There were toys for the children. It was kept clean. There are far worse places. 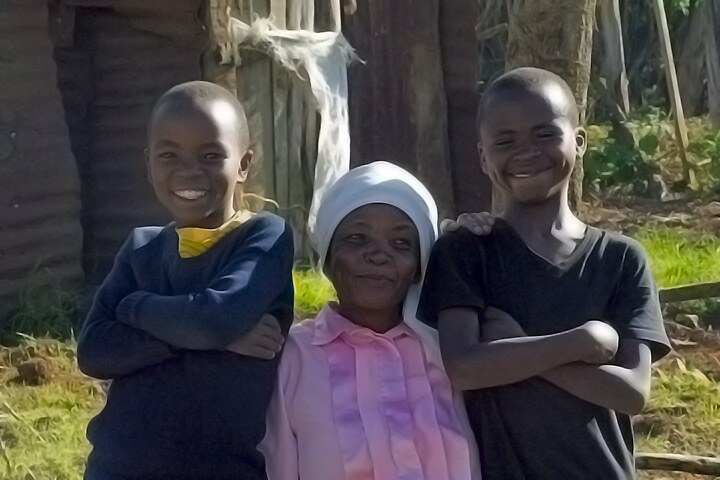 At Project 82 Kenya, we know that large orphanages can not take the place of families. Studies have shown that children who live in large institutions can have serious side effects such as attachment disorders, low self esteem, low weight, late or no ability to talk, walk, and failure to thrive. Instead of taking children out of their family unit to live in a large institution, we strive to help families before abandonment happens. For many families, this means helping pay school fees for their children. Other families need help with job skills to become self sustaining. Some families need assistance with food, shelter, or water for a short period of time. are community members who are able to care for themselves and additional children. We provide job training and child care training. For example, Dorcus at 87 years old, is our oldest guardian in our program. Her two foster sons have grown into nice young men and are living away at a prestigious boarding school. They come home to her on the holidays and always know that Dorcas is their loving mother. 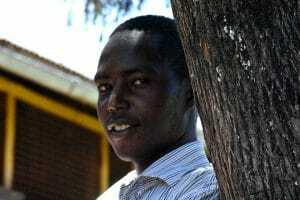 In addition to being a foster mother, Dorcus is a mentor and encourager to many of the younger guardians. Children who can not live with their families and can not be placed within the community come to live at the House of Hope. They live together as a family with a House Mom who lives with them. Additional staff come to help during the day. The children eat together family style. They have chores just like a regular family. The children walk to school together and attend church together. We believe that all children should be raised within a family, whether it is their birth family, an adopted family or a family specifically designed to serve orphans. These settings provide children with family members who love and care for them and will always be part of their lives. A child never ages out of his or her family. A family is forever. We are not an orphanage. We are a home for children and we are #hereforgood.